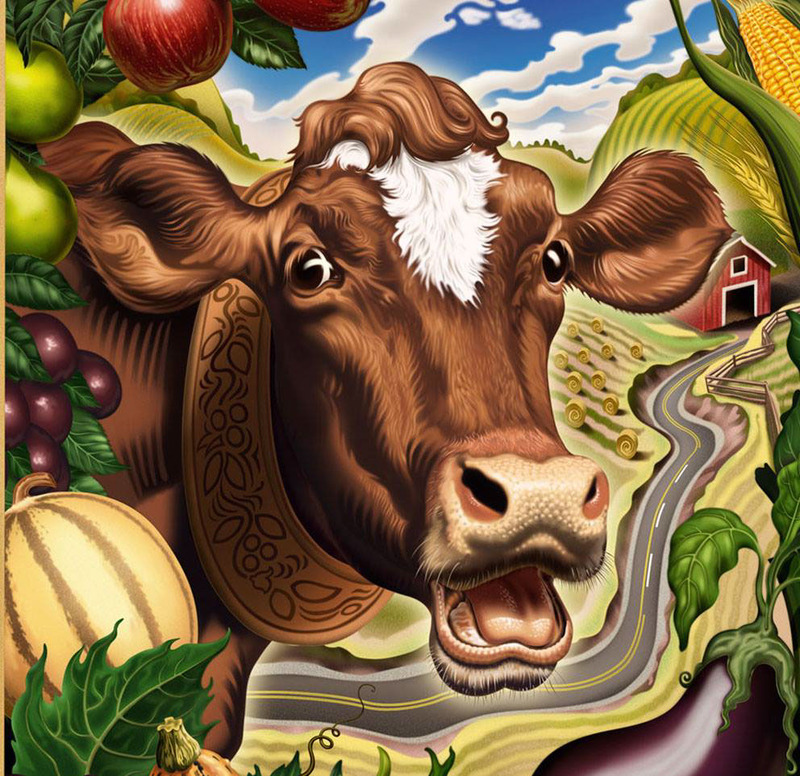 This is fully rendered digital painting created as part of a series of vintage illustrations on the seasons. 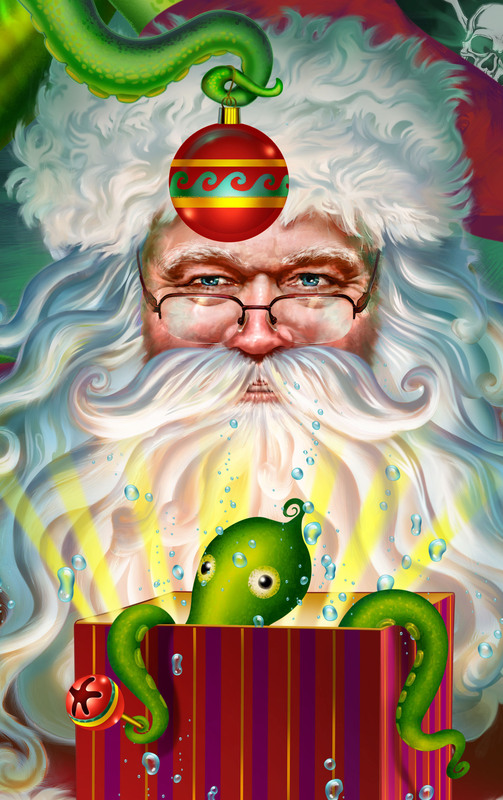 Just completed my Squid Kringle Christmas card for 2014. 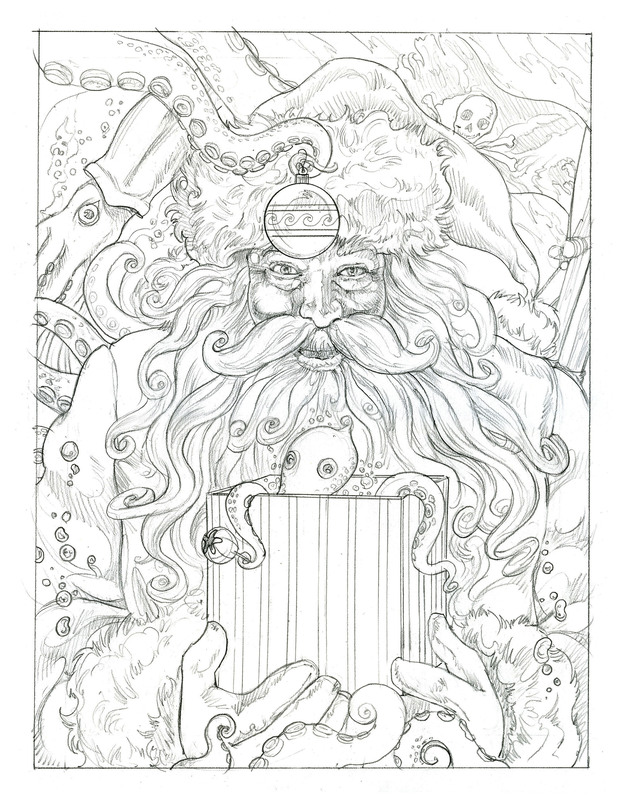 Every year when I thought about doing a christmas card it seemed there never was enough time to get it done. This year I made time. 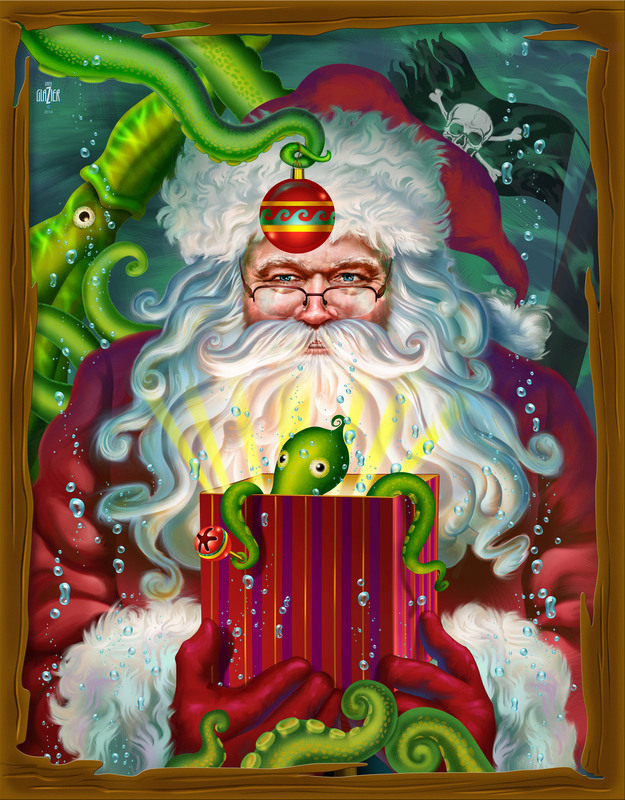 I wanted to do something different like showing Santa underwater with sea creatures and a pirate flag. Guess I have been watching too much Pirates of the Caribbean. 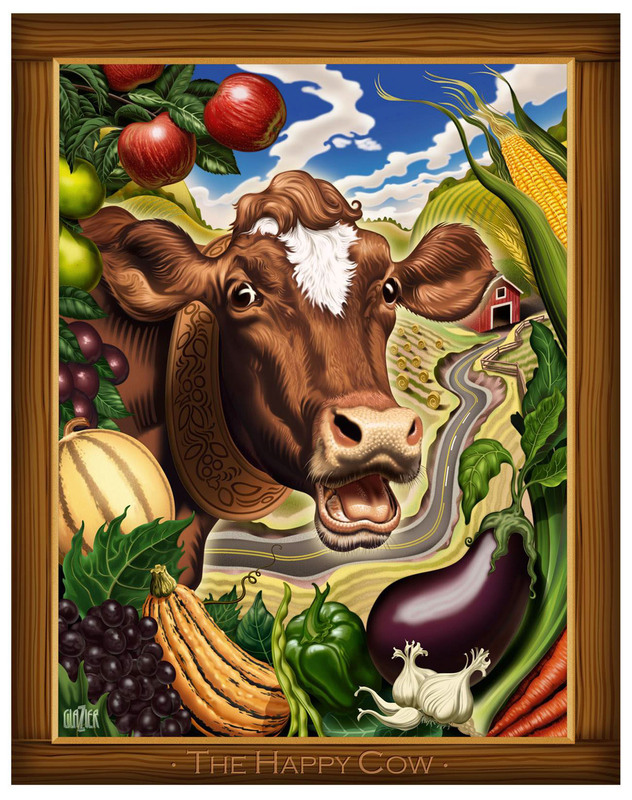 This painting is a continuation of the series I started years ago with the "Happy Cow" and the "Morning Rooster" incleded here. The face was repainted when the first version of Kringle was not giving me the expression I wanted. Looked out the window one morning and saw a thin film of that "white stuff" not to be mentioned coating the ground. 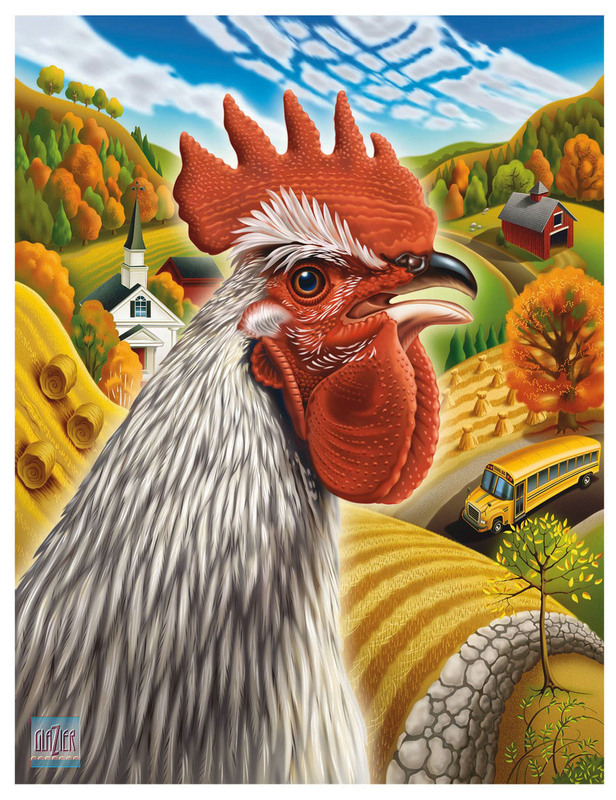 In honor of the last days of autumn I post the "Morning Rooster". I did this painting maybe several years ago and still like it. I have sinced moved on to a more painterly approach. This is a companion painting to the Morning Rooster. The idea was to emulate the work of Thomas Hart Benton. The effect is of a fully dimensional rendering with a painted quality.